Zzzzzz…Oh, was that a Tagline? The Wall Street Journal ran an article on Thursday about Lenovo’s new campaign to sell the Thinkpad laptop (Lenovo purchased the PC business from IBM a while back). Here’s the campaign tagline: “From the world’s best engineers come the world’s best engineered PCs” Zzzzzzzz…. Do people really want to own a PC because of engineering abstractions? Or because of how it looks, feels, runs applications, and makes me look when I use it? 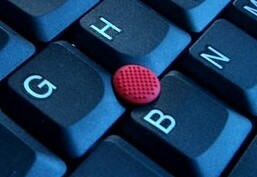 One word, but it says it all regarding Thinkpads. More features. More durability. More value for your money. And, yes, it prepares the buyer for the idea that you’ll pay more also. If I’m going to want a computer, I want…more. Not engineers. (for my take on “engineer” advertising, in particular relating to cars, here is a previous post). What do you think? Is engineering a good angle? How would you market Thinkpads? 4 Responses to Zzzzzz…Oh, was that a Tagline? It sort of feels like Lenovo were cutting costs and just got their engineers to cover the marketing too. However, this tag-line doesn’t suffer from certain weaknesses inherent in the short, sharp and catchy ones. For example, I take some delight in making a mockery of tag-lines. Lenovo’s is less susceptible to the kind of mockery on the site I linked to. Yeah … what a waste of a GREAT product name! Surely there is a perfect connection between the word THINK and the generation of IDEAS. A simple tagline that connects the experience of using a ThinkPad with the ability to OUTTHINK your competition would make me take a second glance. Pingback: 25 Outstanding Links to Help You Write a Compelling Tagline - Liz Strauss at Successful Blog - Thinking, writing, business ideas . . . You’re only a stranger once.